Welcome to the Stampin’ Addicts Retiring Sets Mega Hop!! 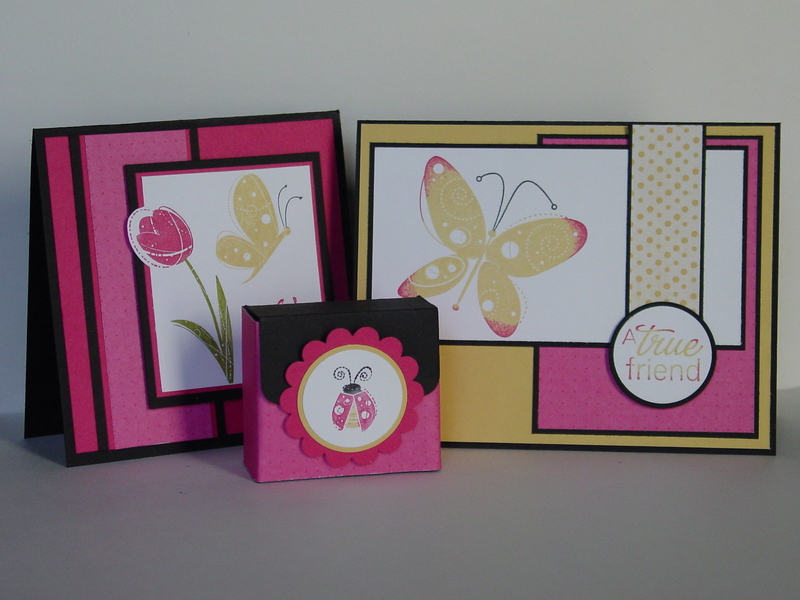 If you joined me from The Stampin’ Bunny, I’m sure you were impressed by Rhonda’s projects with A Beautiful Thing. Her work always inspires me! 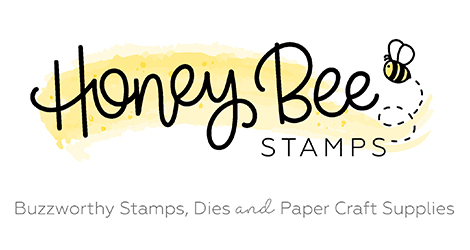 If I am your first stop, you can find links to the entire hop over at Stampin’ Addicts. After the hop you can look around over there for all the “Positively Stampin’ Up” fun…it is a super site with lots of amazing artists! I am so thrilled that you stopped by to see my projects with the retiring set Garden Whimsy. This has been a wonderful “go-to” set for me because the images always make me smile! It is that time of year here in VA…the long awaited last weeks of school. Since the kids have been counting, I’m not sure how it snuck up on me but my first project is a quick little treat box. Perfect for 4 pieces of Ghirardelli chocolate squares…and for a last minute teacher treat!! I will have more info available on Monday with the “how-to” on this box. It is such a great way to use up some of those last strips of DSP and it comes together in about 10 minutes. I used Basic Black card stock for the box and Lovely Flowers DSP (Hostess) to brighten it up. The little lady bug uses Melon Mambo, So Saffron and Basic Black Stampin’ Write Markers. I stamped her on Whisper White then punched her out with the 1 1/4″ circle punch. The So Saffron circle was punched with the 1 3/8″ circle punch and the Scallop Circle is Melon Mambo. I put the box together using Sticky Strip and then used dimensionals on the bottom of the Scallop Circle to attach it to the box. The Corner Rounder punch finished up the box perfectly. If you want to see any project closer, just click on the picture. My next project uses the big butterfly from Garden Whimsy. This butterfly happens to be PERFECT for the Rock n’ Roll technique. If you aren’t familiar with this technique, you need to be! It is a super way to add dimension to large solid stamps. First you ink up your stamp with a lighter color. Then chose a complementary darker color and “roll” the stamp’s edges on the ink pad. Make sure that the darker color pad is dark enough to not be corrupted by the lighter color ink. I used my Black marker to finish off the butterfly’s antenna. The words are from the retiring hostess set Lovely Flowers, the DSP strips are from Lovely Flowers and Tea Party. I used the circle punches again to keep a continuity amongst the projects. The layout is courtesy of Karen Giron and her Sweet Sunday Sketch Challenge. Finally, I wanted to use another technique and the “out of the box” look works really well with the flower in this set. 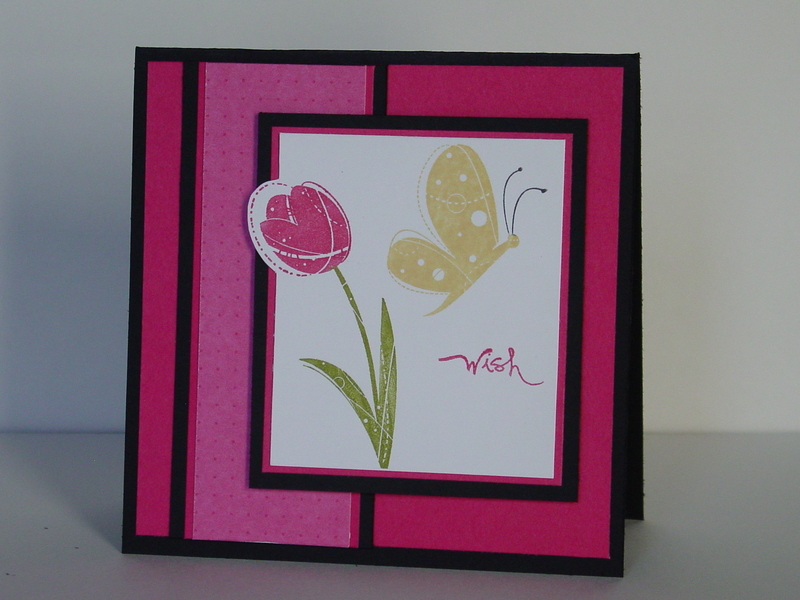 I simply stamped the flower and the butterfly, then using my paper cutter I cut up to the edges of the flower. The rest was trimmed with scissors. I love how the black really pops the Melon Mambo on this card! 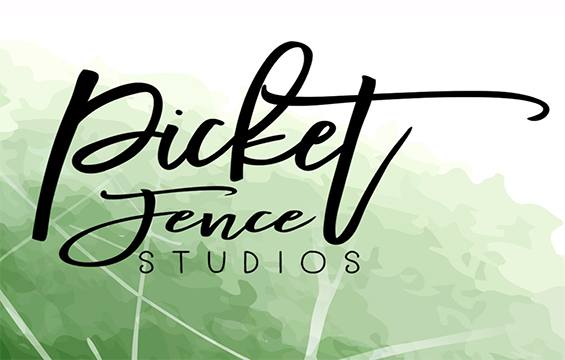 I’d love to hear what you think about my projects so don’t forget to leave a comment. Your next stop is to visit Joyce at Stampin’ Central. She is using the beautiful Le Jardin Botanique and you will love her work!! Your jaw will drop when you see her brayering!! Enjoy the hop and I look forward to seeing you again soon. Adorable projects!! Love your color choices too! Great projects! The butterfly is just perfect for the rock ‘n’ roll technique! Very cute Ghirardelli box, and I’ve never tried the out of the box technique. I definitely will! 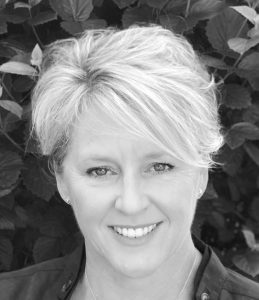 Your last card is wonderful–I love how you did that technique! Did someone say chocolate!! Awesome projects and cards. Thanks for sharing. 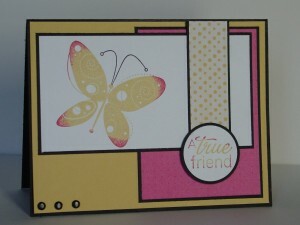 Love the rock n roll butterfly card! It was lots of fun to make! 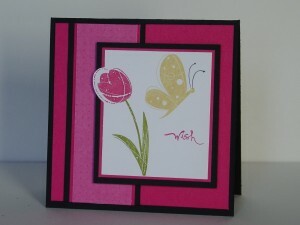 : ) And use of the pink paper is awesome, love the bold colors! Such cute projects. I adore this set! The chocolate box is absolutely divine! A lovely color combo for this set. I am looking forward to the directions for the little chocolate box. So cute! Very beautiful set of projects! They look lovely together! Love your rock-n-roll card. The color combo and layout are very striking! cute ideas, thanks for sharing. Cute projects! Lover your color combo’s too, they really pop. Cute! What a precious gift set! I love the chocolate box and the pink-tipped butterflies best! Great ideas. 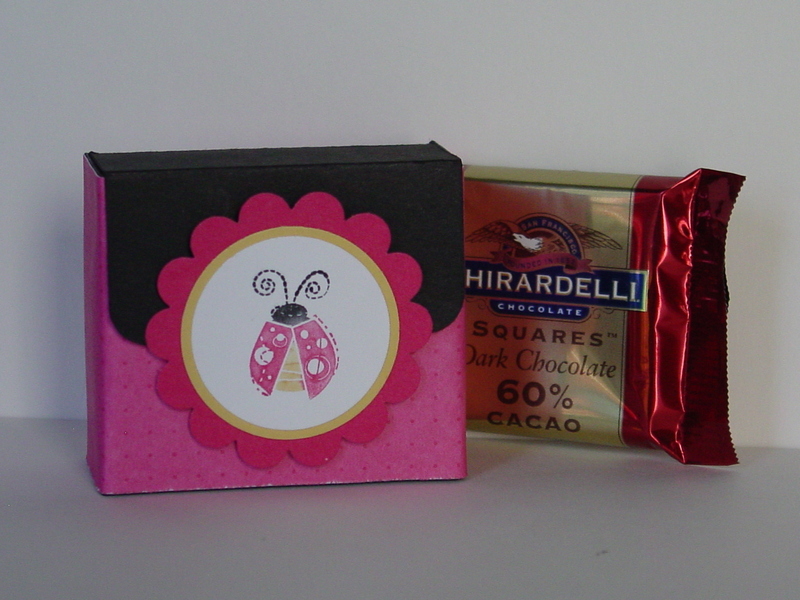 Looking forward to the how to make the little box – the lady bug is so cute. Thanks for sharing. Super projects, love the layouts. My favorite has to be the butterfly card. Might have to case it for a workshop. Hope it’s ok to do that. Such cute projects! I love the ladybug box! I really enjoyed your color combinations and your layouts. Great projects, Jen! I love your use of color with this set.. it just pops! Too cute .. love them all! It would a great gift set! Oh my goodness, Jen! I love ALL of your projects! The ladybug box is too cute! You make me wish I’d purchased that stamp set! Love both of the cards, too! I love how you’ve set everything off with black! Clean and crisp! What a wonderful collection of cards! Thank you so much for sharing . . . I loved the clean, simple look of these.